Hi! Welcome to FAQ section of the Ultras Design website. If you haven’t found here what you were searching for, please contact us directly at support@ultrasdesign.co.uk or use the form on the Support page. If I order today, how long will it take for the delivery? The delivery time depends on the shipping method you choose. Please see the Delivery Time page for more information on shipping methods and how to track parcels. How much do your flags cost? The price of a single flag varies a lot, and it depends on the size and the material. 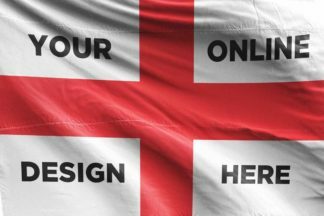 You can find all the prices on Custom Designed Football Flags page, where the first price stands for the lightweight version and the second for the heavyweight one. The lightweight flags are made from 110gr Polyester and are a bit transparent. The heavyweight flags are made from 200gr Polyester, and the colors are more solid with low to no transparency at all. What if I want e.g. 300pcs of the same design? In that case, just choose 100pcs and raise the quantity of the batches to three on the product or the basket page. I saw some stickers/flags you made and I want to order the same design, how can I do it? Just upload the photo or screenshot of the product using Upload Artwork button and proceed with the order. To make sure that everything is clear, add a link or source of the image in the Additional notes field on the checkout page. I want to order the same flag as this but with small changes, how can I do it? Similar to the question above – upload the photo or the screenshot of the product using Upload Artwork button and proceed with the order. On the checkout page, use the Additional notes field to describe the small changes you want to apply to the design. If more information needed, we’ll reach out to you via email. Can I get the stickers by Friday? If you think about the Friday next week, definitely yes. If it is about the Friday this week, probably no. Please refer to Delivery Time page for more information. Do you have any discount at the moment? If yes, you will definitely be informed, don’t worry. If some of the prices don’t suit you best, feel free to contact us; there is always a chance to close a good deal. Can you put the logo of my team on the design tool? Unfortunately, not; but there is an upload section on the left which you can use to upload the logo and use it in your design. 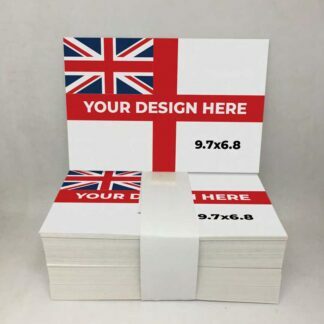 Do you have any predesigned flags and stickers? No, but we do have various templates which are editable and easy to use. Can the flag be washed? Yes, just wash in a machine on a 40-degree delicate wash cycle, best to dry naturally by hanging, no need to iron. Can you send a picture of my flag before you dispatch? Yes, no problem just ask.